We are not just an IT Managed Services Provider. We are the guardians of your data and technology environment, providing you with full security and the means to add value to the data you hold. We believe what you deserve in a partner has changed and you should expect sustainable competitive advantage and innovation from us. We provide technology support and IT holistic solutions to public sector, healthcare, regulated industries and blue chip corporates. Amicus ITS’ true 24x365 technical Service Desk and proactive network management will safeguard you at all times. We deliver highly flexible and agile support to manage life critical and business critical IT environments and we can manage your digital transformation journey with assurance. We secure your data and as compliance managers we follow process and procedures strictly to keep your data safe at all times. 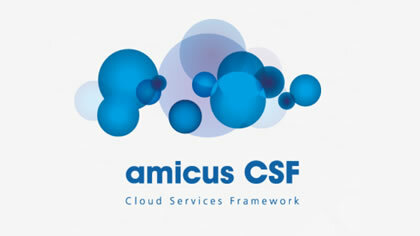 Amicus ITS supports your people, processes and technology, adding value to help you run your business. We engender confidence by having highly skilled experts on hand around the clock. Your systems don’t sleep, so why should we? As your trusted partner, we want to enable you to focus on your business, whilst we protect your infrastructure and workforce wherever they are - so you can rest assured that your business is in safe hands. As secure data specialists, we use our experience and that of our premium technology partners to keep your data safe at all times. Our secure data backup services, processes and procedures deliver fit for purpose continuity and assurance, underpinned by our security, governance and management information services, which enables you to look back with confidence. We work in alignment with your strategies to help you maximise your output, productivity and people with the best technology available today. The ‘cloud’ simply refers to a network of servers (away from your premises), hosted on the internet – and used to store, manage and/or process data in place of local servers or personal computers. By hosting data in the cloud, it enables on-demand access to a shared pool of networks, servers, storage, applications and services. As part of our thought leadership efforts, our Blog is our hub where we discuss five key cornerstone themes around our business: Managed Services, Security, Cloud + Mobility, Business Intelligence and Technology + Innovation. The Blog reflects the main news stories we believe are of interest to our audiences and our technology industry as a whole. All our articles are hand crafted and depict our point of view. © Amicus ITS All rights reserved.